A prolific writer, he was the author (or co-author) of many works such as The Holy Family, The Condition of the Working Class in England in 1844, Herr Eugen Dühring’s Revolution in Science, and of course The Communist Manifesto. He also was also the editor of the second and third volumes of Das Kapital after Marx’s death. Living in Prussia, England, Paris, and Brussels, he saw the injustices of capitalism and developed philosophies with Marx, leading to the creation of Marxism: the basis for all types of Communism. Especially for women, his ideas he wrote of in The Origin of the Family, Private Property, and the State are extremely interesting and empowering, showing how capitalism leads to female subjugation. Although he never married (he thought marriage was unnatural and unjust), he maintained a lifelong relationship with Mary Burns, who introduced him and Marx to the struggles of the working class in 19th-century Manchester. He was a driving force for enabling Marx, and the revolution. 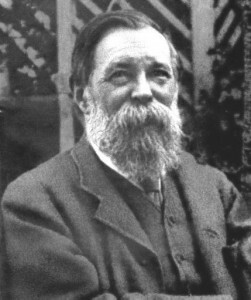 An amazing and devoted man, Friedrich Engels deserves our respect and recognition for his great work. A friend of Marx and the working class, he continues to inspire us. Thank you for such a moving tribute to dear Comrade Friedrich. You know I have always considered him to be the lost Marx brother.